The Wallace McCain Learning Commons will be closed for construction beginning on Monday, December 21. It will reopen in time to kick off the winter term on Monday, January 4. Looking for a place to study during this time? The Killam Library Learning Commons will be available December 21, 22, 23, 24 (until noon), 28, 29 and January 2, 3. 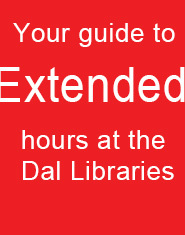 In addition to Night Owls (the Killam Library will be staying open til 3 a.m. Sundays-Thursdays from November 1 until December 17), the Killam will also be offering extended hours on the weekends leading up to exams. 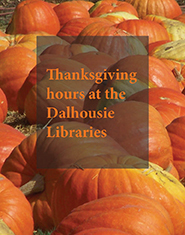 * On Sunday, December 20, the Killam Library will be closing at 6 p.m., since no exams will be written that evening. Monday, October 12 is Thanksgiving Day. 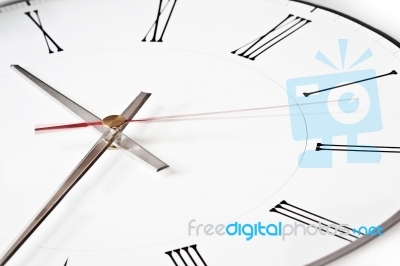 Because it’s a holiday, some of our libraries will have reduced hours that day. 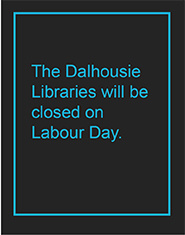 All of the Dalhousie Libraries will be closed on Labour Day (Monday, September 7). 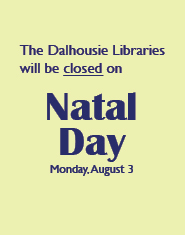 All of the Dalhousie Libraries will be closed on Natal Day (Monday, August 3). The timeline for the scheduled power outage has changed, and the Killam will open at 10 a.m., as usual. As part of Dalhousie’s facilities renewal program, it is necessary to remove a piece of redundant electrical equipment from the Weldon Law Building campus electrical vault. This work is scheduled to take place on Saturday, July 18, 2015 between 5 and 11 a.m. (times approximate). During this time, buildings located on Studley and Carleton campuses will be without power, and the Killam Library will have restricted access. 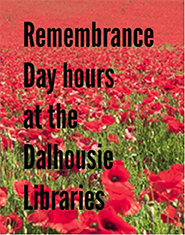 As a result, the library will open at 12:00 p.m., instead of 10 a.m.
All of the Dalhousie Libraries will be closed on Canada Day (Wednesday, July 1).